Acronis Disk Director is showing an unknown 450 Mb NTFS healthy partition. How can we find out more details about the content ? this was most likely created during a Windows 10 installation. I have them on my systems as well and leave them untouched. Exactly. 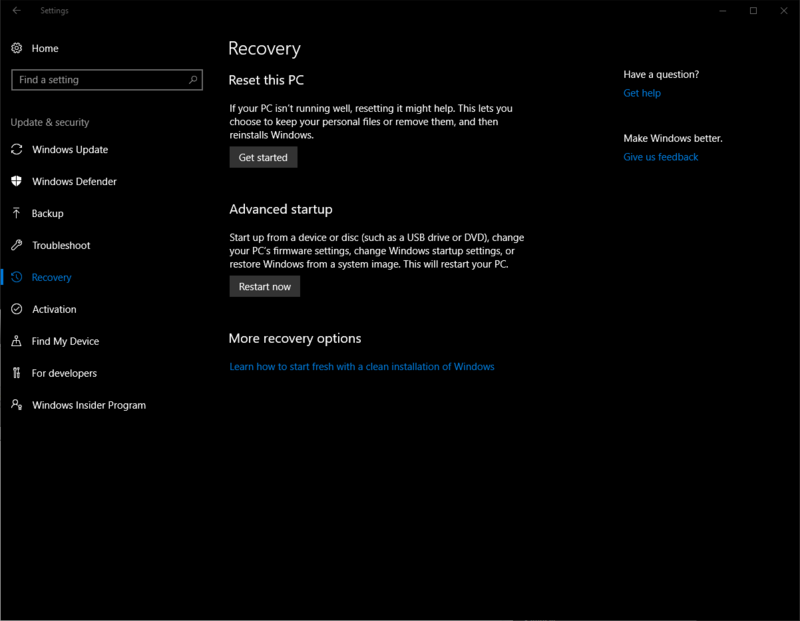 This is the recovery partition for Windows 10 and contains tools needed for recovery operations as shown in the attached screenshot. Can you please check my screenshot , the recovery W10 partition is the first partition located at the left : Herstel (=Revovery) 300 MB NTSF. This is a Microsoft issue. The original Recovery partition created when Windows was first installed was 300 MB at the front of the disk. When your system was upgraded by Microsoft to a newer version of Windows, the 300 MB partition was no longer big enough. Microsoft just left it there and created a new 450 MB Recovery partition at the end of the disk. This happens to most systems that undergo a version upgrade. You have nothing to worry about. Thank you for all above clarifications. Will the same happen when upgrading to Windows 10 Creators Update ? I am going to keep everything like it is now , unless you have another advice regarding the initial 300 Mb recovery partition ? No, the same thing will not happen when you upgrade to the Windows 10 Creators update. The existing 450 MB recovery partition at the end of the disk is sufficiently large as-is for the Creators Edition recovery image. I agree with just leaving the 300 MB recovery partition. You could delete it but it's only 0.3 GB out of your 232.9 GB disk, or 0.1% of the disk that is currently unused. Besides, if you do delete it you will run into issues trying to reclaim the space. Disk Director 12 will not let you move or resize the EFI System partition, so unless you want to do a clean install you're stuck with its current position on the disk. I suppose you could delete the 300 MB recovery partition and then create a new partition in the same location that you could use for storing files, but you'd only have 300 MB of space. Just to confirm , ATI 2017 is indeed displaying 2 recovery partitions.